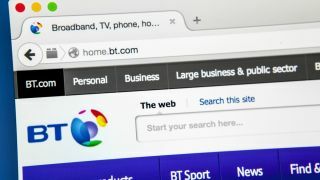 As the biggest internet provider in the UK, it's no surprise that there will always be some BT Broadband customers that will have some cause for complaints and require assistance from customer services. And that's not a slight on BT. Like every other major company out there, it employs a whole department of staff to deal with these complaints and has processes in place to resolve them as satisfyingly as possible. So what do you need to do if you become one of those people that needs to get the attention of BT customer services? That's what this guide's for. We'll help you quickly identify the correct numbers to call to get hold of somebody to help - whether that be to make a complaint or just ask a burning question to somebody in customer services. What ways can I make a complaint to BT? Rather confusingly, BT has several different customer service numbers that you can try in order to get through and resolve your issue or make a complaint. These are the three that we think will be most useful to access BT customer services. Between 8am-9pm Mondays to Fridays; 9am-8pm Saturdays; 9am-6pm Sundays. The line is open 24/7 if you're in need of some kind of repair to your broadband service. Are you getting the speeds you were promised from BT? When you signed up for BT Broadband, you should have been given a minimum download speed figure in your terms and conditions. That minimum speed is very important, as BT allows you to leave your contract without penalty if the internet you're getting is slower than expected and the company can't improve it within 30 days. That's where the TechRadar broadband speed test comes in. Fire it up and you'll find out what your home broadband speeds are within mere seconds. If it comes up short compared to what BT promised, then it's time to drop them a line by one of the methods above. Can I cancel my BT Broadband contract? - Cancel within 14 days: your statutory cooling off period means that you can ditch BT in the first fortnight without penalty. - Price increase: unfortunately, this can be a fairly common one, with companies like BT deciding to increase their prices during the contract term. Usually, they will let you have details of how to escape the agreement without charge when they send notice of the price hike. - Mis-sold deal: if you're convinced that the internet you've ended up with is significantly different to what you thought you were going to get, then you may be able to convince BT to nullify the contract. - Bad BT customer service: this will be pretty rare, but you may feel that BT has significantly fallen short of the service they should offer. You'll need to go through a full complaint process before being able to break your contract this way. If you find the just cause to leave BT Broadband - whether with or without penalty - then you won't want to be without home internet for long. Luckily, we've got you covered for all of the UK's best broadband deals to transfer over to you.